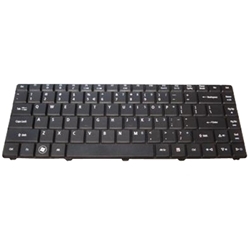 Description: New genuine Acer Aspire laptop replacement keyboard. This original keyboard includes the ribbon cable. Part #'s: KB.I140A.196, NSK-GEA1D, 9J.N1S82.A1D, 9JN1S82A1D.